You probably are quite happy with your Kindle Fire. But it may be necessary to hard reset android on your Kindle Fire, if it starts behaving erratically or freeze up on you. Since your Kindle Fire is based on a special version of Android OS, tailored specifically for Amazon, it does not include the usual menu access that other Android OS based devices may have available to the user. This means that you will not be able to hard reset your Kindle Fire from inside Android. But do not despair, there is an alternative -hardware based- method to reset your Kindle Fire, which is bulletproof and will get you back into a factory default status in no time with your reading Tablet. First you need to plug your Kindle Fire into its battery charger. Then you just need to press and hold for 30 seconds the power switch. When time is up, you release it, and then press it once more for the Kindle Fire to turn on as a blank slate, in factory default state. 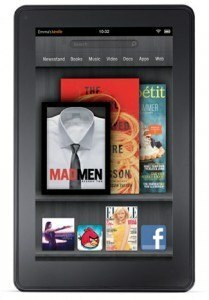 You will need to download your books and magazines back into your Kindle Fire. If performing a hard reset on your Kindle Fire does not solve your issues, then perhaps it is time to give Amazon a phone call and ask for a replacement. Their Kindle Fire support phone is 1-877-453-4512. Amazon might change your Kindle Fire provided you still are covered by their warranty.